The volume around the Gender War in sports seems to have dropped down to a low murmur. It’s in a good way — some of those old “Man vs. Woman” bits seem positively quaint now, a throwback to an oversimplified view of sports and competition. As time passes, things become more normalized, and the fact that, say, women’s ski jumping was featured in the Olympics for the first time wasn’t treated as a big story at all. Since, you know, of course women should be able to compete in the same events. Sports don’t have genders. Except when they do. Look at the controversy around Title IX, the 1972 Educational Amendment that declared gender discrimination wasn’t an acceptable reason to deny anyone’s participation in “any education program or activity receiving federal financial assistance.” Thirty years on, Title IX is still the subject for debate, as talking heads discuss the merit of the amendment’s proposed solutions to gender inequality. One occasionally touted, though rare solution is to have men and women play the games together. There has been and will continue to be many people with opinions on this idea — Google reveals 4 million results for “should women compete against men?” — and while the reasons for and against are tricky and nuanced, it does happen. It’s important that it does happen, if only to show that it can happen. Here are eight female athletes that challenged men on their own turf. The game was expected to be a blowout. Riggs had made something of a career renaissance playing against women and beating them. Earlier that year, he had defeated Margeret Court, then then No. 1 ranked women’s tennis player in the world. 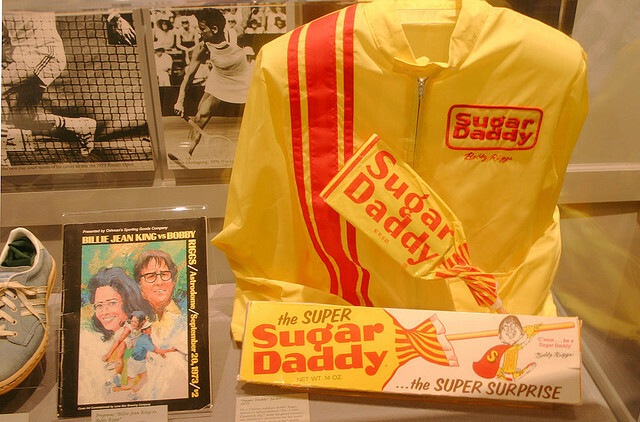 As Natta Jr. points out, this was back in an era when women couldn’t get a credit card without a man’s signature, and like King said in a retrospective of the event (you can see it below), “It wasn’t about tenis, it was about social change. And I knew that going in.” The event was broadcast on ABC, and the winner received $100,000. Bobby Riggs, who spent the weeks leading up to the match partying in Los Angeles (because of course), got stomped. Predictably, there have been allegations that he threw the match, but that’s a whole different story. The Times also pointed out that, “There is no professional hockey league for women that pays a livable wage, so the best female players have limited options if they want to continue playing after college. 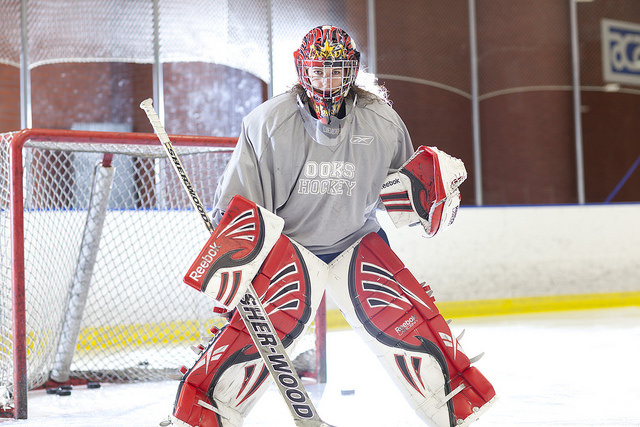 They can squeeze in training around a job, train full-time and depend on outside financial assistance, or find employment with a team in a men’s pro league.” Szabados, who is a two-time Olympic gold medalist for the Canadian Women’s Ice Hocky team, made her professional debut with the Cottonmouths earlier in March, making 27 saves on the way to a 4-3 loss. The SPHL is one of the six minor hockey leagues in North America, along with the American Hockey League, the East Coast Hockey League, the Central Hockey League, the Ligue Nord-Américaine de Hockey (North American Hockey League), and the Federal Hockey League. The NHL is the only major hockey league on the continent. Patrick wasn’t the first woman to race in the Indy 500 (actually, she was the fourth), but she was the best to do it — both in starting position, her fourth place start (earned through her strong racing throughout the season) and her fourth place finish (earned through driving really well.) 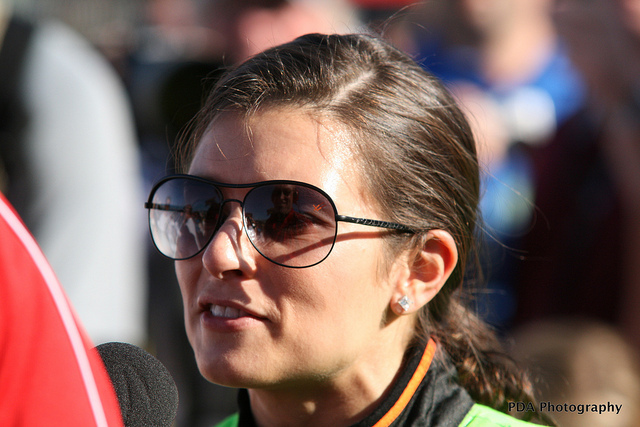 Patrick would later transition to NASCAR in 2010, and is one of only two women to compete in both the Indy 500 and the Daytona 500. While the 31 year old has, of late, become more well-known for her visible sponsorship from webhosting service GoDaddy, as well as the controversy around her inability to win a Sprint Cup — which, of course, would be entirely unremarkable if she wasn’t a woman. So it goes. Football. The dude-est of dude sports. Super masculine — except for hockey, according to hockey fans. But Division I football is no joke — that’s where NFL players come from. It’s where full-ride scholarships for those aforementioned NFL players come from. It’s where $578,000 athletes reside. It’s about as far from a no-pressure flags-and-beer league as you can get. So when Ashley Martin, a soccer player for the Jacksonville State Lady Gamecocks, became the first woman to see the field in a DI football game in 2001, it was a big deal. 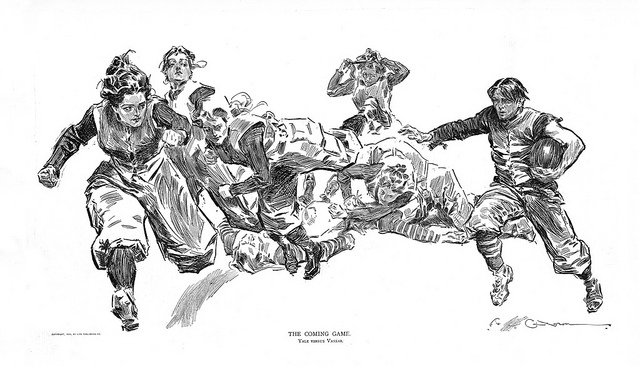 Martin, who was attending Jacksonville on a soccer scholarship, was roped into football after the Gamecock’s coach, Jack Crowe. “He looked outside his office to a field where the Lady Gamecocks soccer team practiced.” according to ABC. “It was hard not to notice Martin, a 5-foot-11, 160-pound sophomore who ended each practice by replacing a soccer ball with a football. Her kick was so powerful and precise, and her demeanor so competitive, that Crowe asked her to join the team,” as the team’s lead kicker could not kick reliably extra points, only kickoffs and field goals. While another woman had kicked for a Division III team earlier in the ’90s, Martin was, and remains, the only one to do so in D-I sports. Previously, Duke University had come under fire for cutting their female kicker, Heather Mercer, for two years in a row (’95 and ’96.) That ended in a lawsuit. The 2001 Gamecocks went 11-5. Seana Hogan rides bikes. She rides bikes very quickly, and she’s been riding bikes very quickly for a very long time. Her list of achievements is extensive, particularly when it comes to the Race Across America — a mixed gender ultramarathon that starts in California and ends on the East Coast (originally at the Empire State building, the most recent ended in Annapolis, Maryland.) Hogan has won the women’s division six times, completing a four-peat from ’92-’95 and twice more in ’97 and ’98. So much so that the award for the fastest female racer is now the Seana Hogan award. Since the RAAM is a mixed gender race, Hogan is competing against the entire spectrum of racers. Her 1993 time of 9 days, 15 hours, and 30 minutes was good for third overall — that’s a very fast way to travel 3,000 miles on a bike. Despite already being in the RAAM Hall of Fame, Hogan’s website lists the 2014 event, slated for June, on her schedule. That’s 20 years of high level competition. Whether she actually struck out Gherig and Ruth remains a rather puzzling maybe-truth. There is photographic evidence that they were in the same place at the same time. That isn’t in doubt. At the time, Mitchell was signed to the Chattanooga Lookouts, a still-running minor league men’s team. What is more murky, according to The Classical that published a fantastic article about Mitchell, Gherig, and Ruth — which you can read by way of The Daily Beast – and whether the effort was genuine. “Half think it was one of [Lookouts President Joe] Engel’s stunts and the other half thinks she really did strike them out, or could have.” Much of the controversy seems to hinge on the involvement of Engel, who was a publicity hound — he once traded a shortstop for a turkey. A real turkey. Whatever. Jackie Mitchell struck ‘em both out. Like Spike Lee said, that’s the truth, Ruth. Two hockey players? Yes, two hockey players. 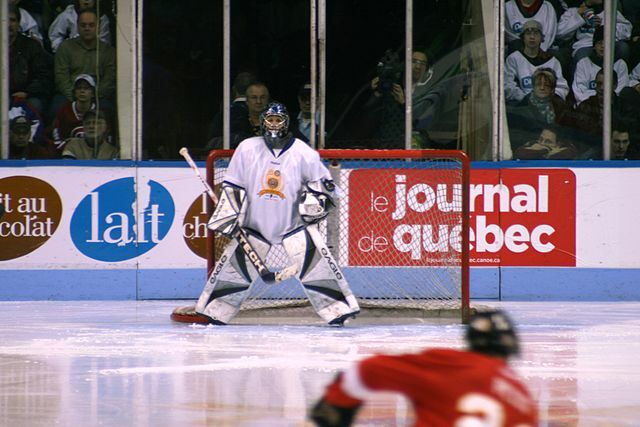 Manon Rhéaume remains the only female ice hockey player to ever play in the NHL, appearing in a September 1992 preseason game for the Tampa Bay Lightning that marked the first time a woman had ever played in a men’s professional sporting event in any major league in the United States. She was, literally, a game-changer. Everyone figured Rhéaume had been brought in as a publicity stunt — the Lightning were an expansion team in a market that didn’t exactly scream hockey friendly and, as Peter Taglianetti put it to the website, “We had to get native Floridians interested, which meant getting on the front page of the newspaper and getting some radio time, TV time, the whole nine yards. So, we all understood that when they brought Manon into training camp, it was technically a publicity stunt to get media there from around the country.” Rhéaume would play in one period of action, saving 7 shots and allowing two goals. The score was tied 2-2 at the end of the first period. There is no sport that is more “good old boys” network ready than golf. It often seems like a sport tailored explicitly for large, overweight men to smoke cigars and drink scotch while someone else carries their clubs and tells them which driver to use. (Sidenote: golf is also awesome for those exact reasons, even when you have to carry your own clubs and pour your own scotch.) 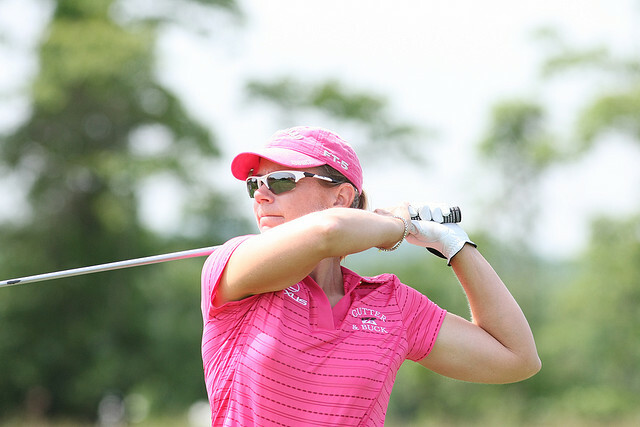 Reports are unclear as to whether Annika Sörenstam drinks scotch, but she’s the best women’s golfer of all time. Among her accomplishments, Sörenstam is the has the most wins of all time as a female golfer, with over 90 tournament victories. She holds the record for the lowest season scoring average, and she was the first woman to play in the PGA since 1945 when she entered the Bank of America Colonial tournament in 2003. She did not place in that tournament.